My love for you is way out of line.” Or something like that. 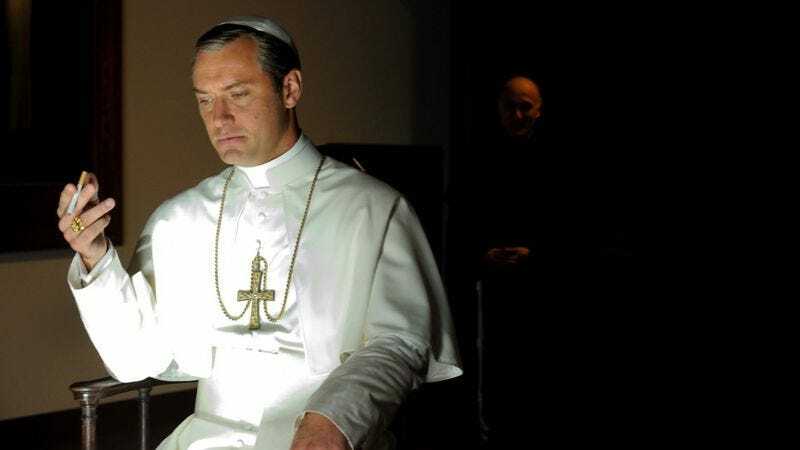 Regardless, Paolo Sorrentino, the writer/director of Jude Law’s upcoming HBO series The Young Pope, clearly has Young Pope fever. According to The Hollywood Reporter, he’s already hard at work on the script for the show’s second season, even though its first has yet to debut. The Young Pope—which launches internationally this month but won’t premiere in America until early next year—stars Law as a fictional American pope who is “outrageously conservative” and “hell-bent” on changing up the Vatican. He’s a chain-smoking anti-hero who employs Diane Keaton’s Sister Mary as one of his advisors and looks to James Cromwell’s Cardinal Michael Spencer for mentorship. And the first two episodes of the 10-part series got good reviews when they debuted at the Venice Film Festival last month.